Fidget spinners have been around since at least the early 1990s, maybe even earlier. Now, though, they’re A Thing – and a subject of occasionally furious debate. Some insist that they help kids with attention deficits stay focused in the classroom. Others say they’re a distraction to others, even potentially dangerous – why else would so many schools have banned them? Then there are those who roll their eyes and say it’s just a toy, for goodness sake, and wonder why anyone is panicking over just another fad. But what often gets lost in the squabble is the real need that some folks seem to be responding to by allowing spinners in the classroom – and whether those gizmos are the best solution. That need isn’t exclusive to kids with diagnosed attention issues. Children need to move. It’s how their vestibular (balance) system develops fully. It’s how they develop a strong sensory system. we began to engage in complex foraging tasks that were simultaneously physically and mentally demanding, and that may explain how physical activity and the brain came to be so connected. “We think our physiology evolved to respond to those increases in physical activity levels, and those physiological adaptations go from your bones and your muscles, apparently all the way to your brain,” says [David] Raichlen, an associate professor in the University of Arizona School of Anthropology in the College of Social and Behavioral Sciences. “It’s very odd to think that moving your body should affect your brain in this way—that exercise should have some beneficial impact on brain structure and function—but if you start thinking about it from an evolutionary perspective, you can start to piece together why that system would adaptively respond to exercise challenges and stresses,” he says. Currently, there is no good evidence that fidget spinners actually improve focus or relieve anxiety, let alone meet students’ developmental needs. 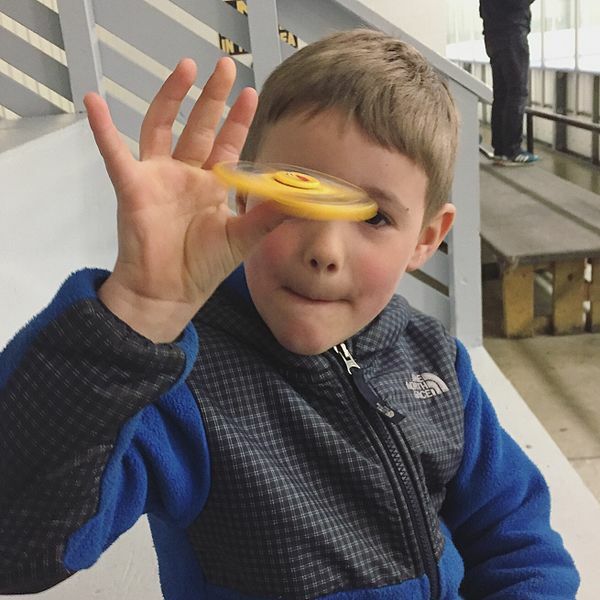 “Just sitting and fidgeting with something is not going to really be that beneficial to a child with hyperactivity and inattention,” Janine Artis, a mental health clinician in Williamsville, N.Y., told the Now Cleveland. Still, what a child often may really need is the opportunity to stand, stretch or take a walk, explains [UC Davis professor and psychologist Julie] Schweitzer. [Occupational therapist Varleisha] Gibbs recommends wall push-ups and yoga poses. She also laments the fact that many schools have cut the amount of time kids spend at recess or in gym classes. Andrew Bonini, for instance, only has gym two out of every six school days. In a compelling reflection on why fidget spinners are so hot right now, media expert Ian Bogost suggests they’re symptomatic of the hyper-individualism that marks our current culture. It is a toy for the hand alone—for the individual. Ours is not an era characterized by collaboration between humans and earth—or Earth, for that matter. Whether through libertarian self-reliance or autarchic writ, human effort is first seen as individual effort—especially in the West. But self-reliance can only take you so far. We are made human and whole by our relationships – precisely why Community is one of the five Yoga Calm principles. 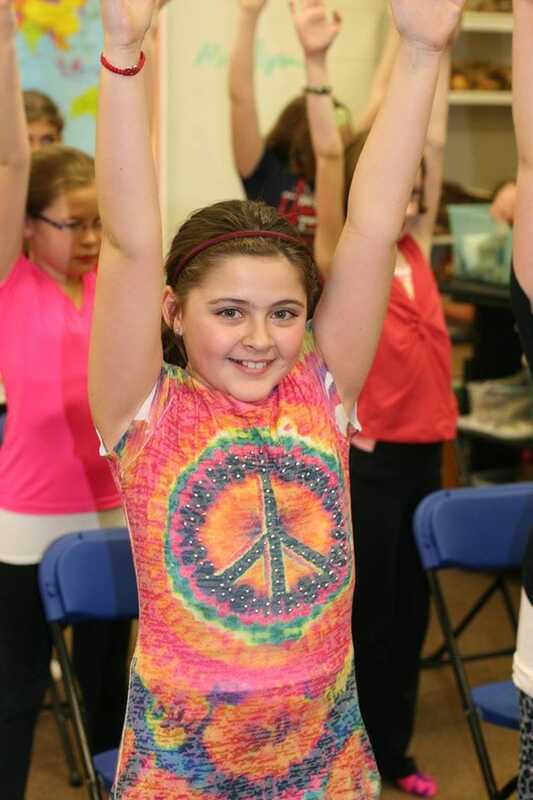 The classroom is a place ripe for the blossoming of mutually-supportive relationships, for connecting with and learning from others. We should encourage that, not grasp for more quick fixes that fail to address the underlying needs of our kids.